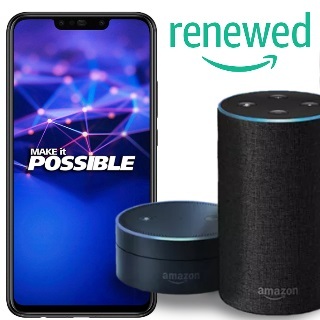 Amazon Renewed Store: Get Upto 70% Off Certified Refurbished Products. Find a wide selection of certified refurbished products from top brands that are tested and certified by professionals, comes with minimum 6-month supplier backed warranty and have minimal or no signs of wear and tear. Shop for Mobiles, Laptops, Headphones, Sports Accessories & more. Under Amazon Renewed Store, user can get exciting offer such as Refurbished Core I5 Laptops starting at Rs.19,990, Refurbished Core I7 Laptops starting at Rs.23,990, Refurbished Skullcandy Headphones at Minimum 50% off, Refurbished Speakers at Up to 60% off, Refurbished Laptops at Up to 50% off and more.